Italy's lakes Como, Garda and Maggiore are well-known postcard perfect glamour destinations, but who's heard of Lake Iseo? Surprisingly, the answer is still not that many of us. Lake Iseo is the smallest of the major Lombardy lakes, but no less lovely. If you're in on Lake Iseo's secrets go straight to our guru's list of the best places to stay on Lake Iseo. Otherwise, here are some of Iseo's highlights some of the best places to stay on Lake Iseo to enjoy them. Iseo has been the lake local Italians have preferred, probably because it's cheaper and less touristy. Its wooded shores have escaped the overdevelopment of some stretches of the larger lakes, so it's very green. And three main towns and sprinkling of smaller ones feel very Italian. Ferries cruise all over the lake, heading to and around Monte Isola, the forested island in the centre of the lake. Iseo's colourful towns all front on to the lake; you get the best view of them arriving by boat, so the ferries are one of the best ways to see the sights. Though there's also a very pretty coastal road. On the lake's southern shores, the town of Iseo is one of the best places to stay on Lake Iseo if you enjoy Italy's people-watching culture. Iseo's large pedestrianised area is rife with cafes and bars facing out to the lake. So you get the amazing views of the sunset, followed by a lively evening. Iseo is also one of the best places to stay on Lake Iseo if you're interested in medieval history - it's got one of the best preserved 11th century forts in Italy, the Oldofredi Castle. Recently voted one of Italy's prettiest borghi (picturesque villages), probably in part because of the mountain backdrop and partly for the charming old arcades, Lovere is also wealthy in chichi bars and restaurants. Many of the evening cruises depart from Lovere's ferry port, and this is also a good place to come to just stroll around and feed the ducks. This town is also rich in religious architecture, and is one of the best places to stay on Lake Iseo if you've come to Italy to see gorgeous churches. Monte Isola! - yes, this car-free island is also one of the best places to stay on Lake Iseo if you like to visit a working township. But don't let that imply it's any less charming. Here sorbet coloured homes are connected to each other by arches and spirally stairs, and in courtyards you'll discover boats being repaired. Monte Isola is also one of the best places to stay on Lake Isola for walkers. Sala Marasino, which has one of the finest Renaissance mansions on the lake, and a warren of alleyways in the old quarter. Sulzano, one of the best places to stay on Lake Iseo if you want to promenade amongst the most elegant of 19th and 20th Century villas. And Clusane, one of the best places to stay on Lake Iseo if you're looking for somewhere rustic and authentic. Head off hiking through the Antica Srada Valeriana and marvel at the stunning panoramic scenery. Check out the Pieve di Sant'Andrea, a wonderfully historic and charming church. If you fancy a few refreshing pints and a lively atmosphere then head to Birreria Torbeeria in Iseo, a bustling bar that offers a wide range of artisanal beers. 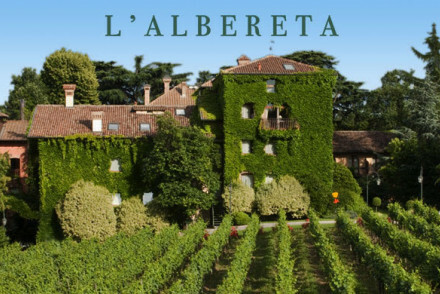 If you're searching for the ultimate place to relax, L'Albereta is one of the best places to stay on Lake Iseo, if not in all of Italy. This very luxurious hotel has almost made a religion out of wellbeing. Its kitchen is world class, and its spa employs 30 therapists. There are vineyards next-door, so the view is lovely, and the golf course is only four kilometres away. If you want to pamper yourself this is one of the best places to stay on Lake Iseo. Set in the village of Sulzano, Hotel Rivalago is a splendid spot for a couples retreat. The smart rooms are light and airy, with terraces offering splendid lake views, whilst there's also a pool and private beach access. If you think that you'd prefer the privacy of a self-catering option then browse through the wide variety available online with our partner Booking.com. The weather's definitely nicest in the summer, with the average daily temperature rising to 24°C in July and August. That said, this is peak tourist season so expect the region to be busy and for accommodation to be more expensive. Consider coming in May or September for cheaper alternatives. Fly into Orio al Serio International Airport, from where you can take a coach and then a bus to Lake Iseo. Ryanair fly here from London Stansted, Dublin, Liverpool and Bristol. Browse through our list of all the best places to stay on Lake Iseo. Expand your search to include the best places to stay in Lonbardy, Brescia or Milan. Set in the quiet village of Sulzano on Lake Iseo, bedrooms are comfortable, airy and decorated with elegant colours. Some rooms and suites have private balconies with lake views. Organise daily activities and excursions from the hotel or relax by the pool and private beach. A very luxurious hotel that has almost made a religion out of wellbeing. A world-class spa and a kitchen operating under a chef named the ‘the Father of Modern Italian Cuisine’. A spa and gourmet break off the beaten track. Spa - Espace Vitalite Henri Chenot led by a team of physicians, therapists, dieticians & beauticians.